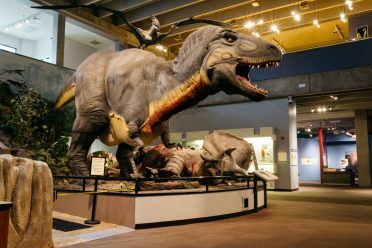 The Saint Louis Science Center has been recognized as one of the city’s treasures for decades. And for many years, we have had a familiar logo, one based on our iconic buildings—the James S. McDonnell Planetarium and the OMNIMAX® Theater dome on our building at 5050 Oakland Avenue—as well as the Gateway Arch. While this logo has served us well and is recognizably ours, we feel that the Science Center is evolving and that it is time to refresh our brand, including the logo, as we move into the future and serve as the regional connector to science. In 2017, we engaged an outside agency, Atomicdust, and embarked on a process of examining who we are and who we aspire to be. We also began a process of examining how we engage with our community and how that aligns with our brand. Over the course of many months, we now have a new brand identity that officially launches on Wednesday, September 5, 2018. We are not the same organization as we were ten or fifteen years ago. We are doing things differently, creating and building in collaborative ways that strive to always be open to new ideas and innovative ways of thinking. In addition to adding our GROW Pavilion and gallery and other ongoing changes within the Science Center, we are more than just our buildings. 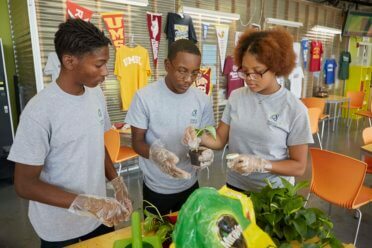 Both in the St. Louis community and in the global community of science and educators, we are expanding and changing both physically and by the ways we connect people with science. 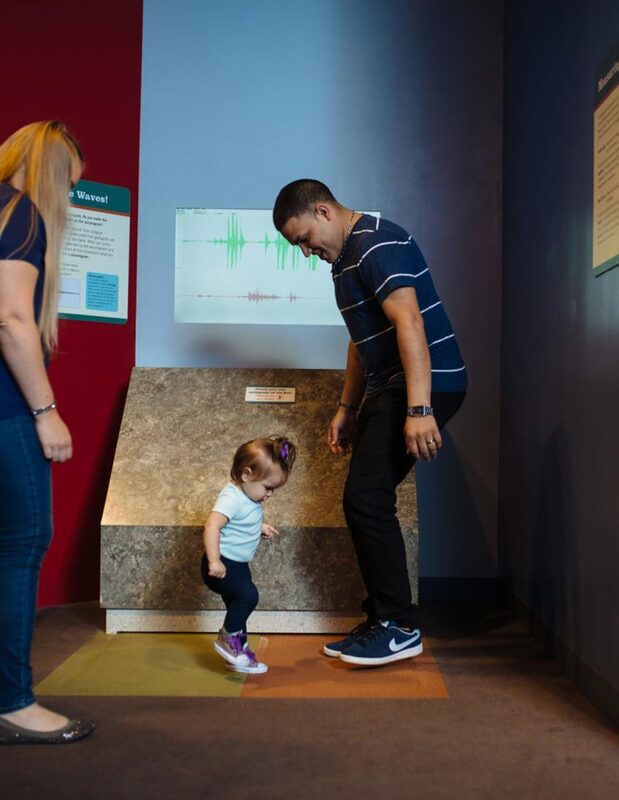 We are able to fulfill our mission and remain accessible as one of the only free science museums in country through the support of our members, donors, visitors and taxpayers. We are thinking bigger and challenging ourselves to innovate, experiment and try new things. We have a very big and attainable goal: To be the Regional Leader in Connecting People with Science. Our new logo is both a reflection of the fundamental element of the atom as well as our city and region and the Gateway Arch. We are also embracing a new color palette of four accent colors on a navy background- bright green, teal, red and yellow hues. When choosing colors we wanted to have colors that ignite an interest and allow for variety with our color family, as well as be flexible, friendly, traditional, yet bold. 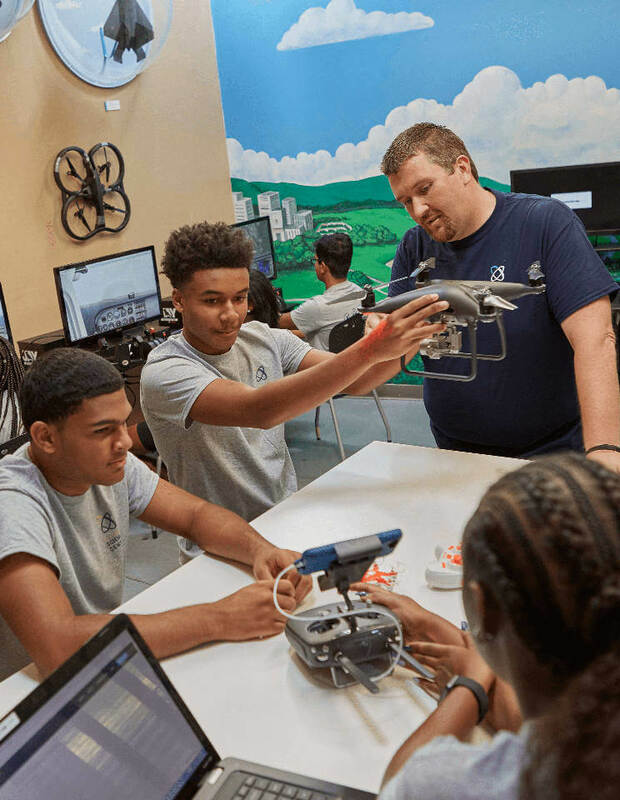 We believe that the more we help our community to keep connecting with their sense of curiosity and discovery, we can continue to create and grow generations of science and technology learners. 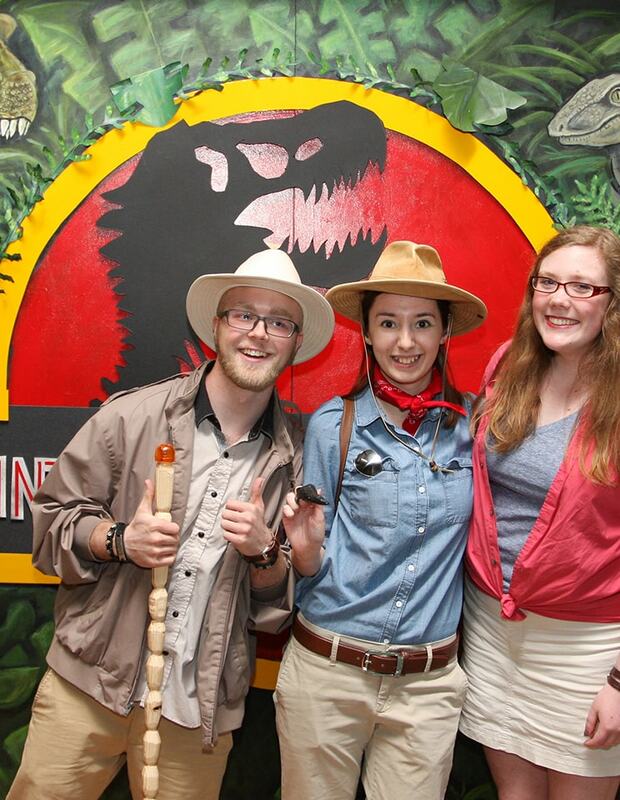 Our Brand Narrative is how we talk about ourselves both inside and outside the Science Center. At the core of this language is our mission: To ignite and sustain lifelong science and technology learning. and just as thrilling to explore. free to enter, to experience, to shape, to share. we’re forging the future of our region. and science at the center of a more connected world. 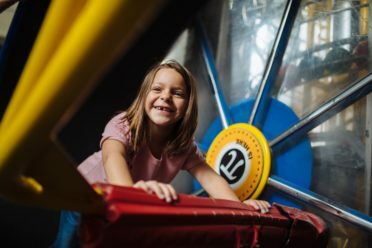 With more than 700 interactive experiences, our GROW pavilion and outdoor exhibit, our famous McDonnell Planetarium and our five-story OMNIMAX® Theater, we invite everyone to create a more connected world through the power of their curiosity. 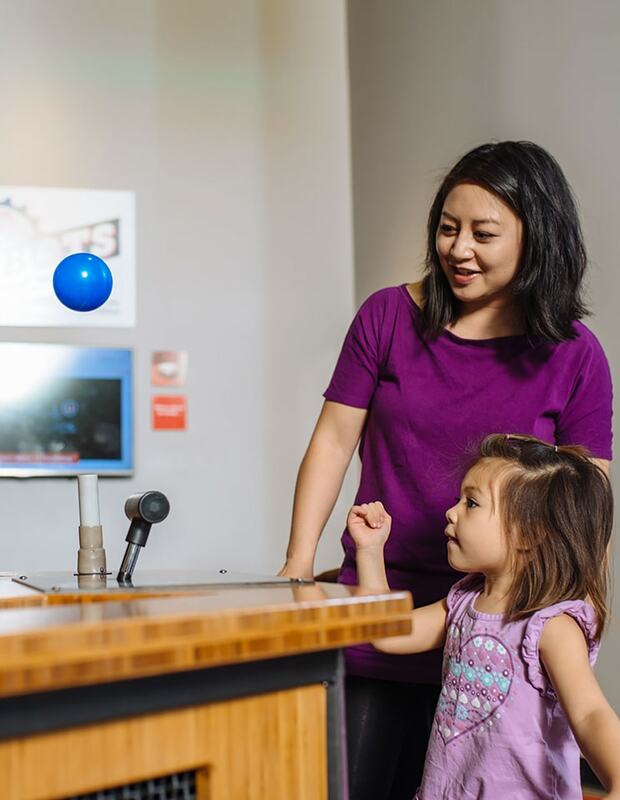 As one of the only free nonprofit science museums in the country, we invite curious minds from all backgrounds to explore, create, and share their ideas. Support from our visitors and the community helps us create innovative science and technology programs for people throughout St. Louis. 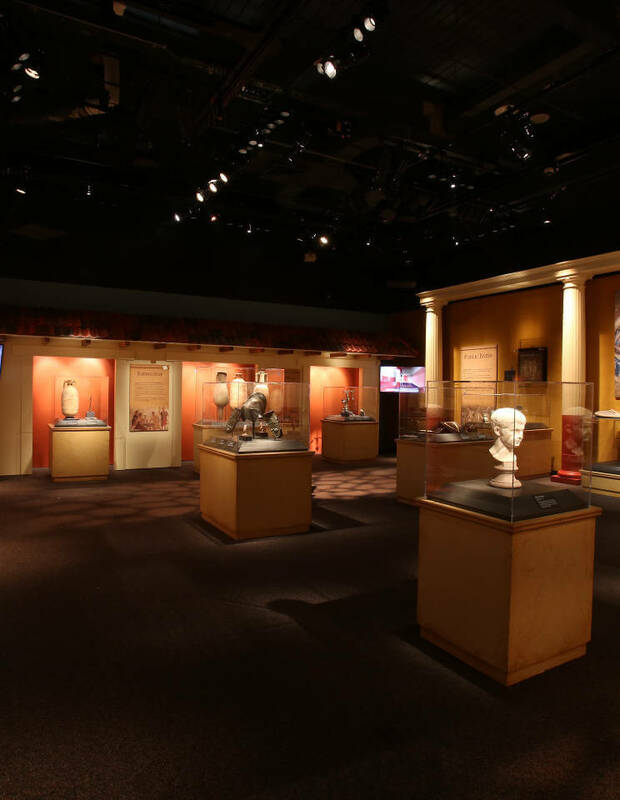 As we look at our accomplishments of 2018, including the augmentation of Destination Moon: The Apollo 11 Mission, a renovated Mission Mars exhibit, and our soon-to-open exhibit on games, our team is working in a way that is new to the Science Center and really to the museum industry. The Science Center is listening to our community as we build and innovate to reflect the needs of the changing world. It’s not just a new logo and language, it’s a new way of discovering, exploring, creating and connecting in a way that will forge the future for science in our region.